The days are growing longer and the warmth of summer will soon be upon us. In honor of the coming summer season we invite you to our first quarterly celebration. Our time together will portray the unique blend that is found in the ancient Celtic Christian Spirituality that honors nature and upholds our created goodness. There will be singing and symbol, silence and walking, reflection and sharing and…well we don’t want to spoil all the wonderful elements we have planted within our occasion of prayer. 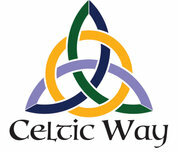 After the celebration there will be ample time to be together, find out more about Celtic Way offerings, have some iced tea and some of our trademark homemade cookies. Please stay a while, enjoy the company, and appreciate the moving surroundings. We like it that our first celebration is located on the cemetery grounds…its where it all began!